And don't forget the time she wore our bracelet we gave to her in a selca on Twitter! 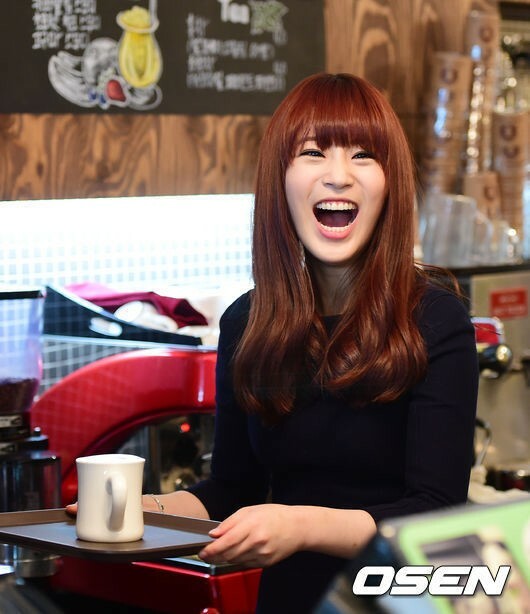 I love it when Youngji gets to show off her parent's coffee shop! i love youngji when she performing on stage. My favorite youngji moment was when she found out she won the Baby Kara Project contest. And my favorite youngji moment during a dance was Mister in Japan during the Baby Kara Project.